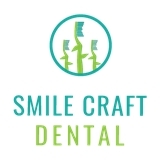 Smile Craft Dental (Flower Mound) - Book Appointment Online! Friendly and informative!! Gave me all the info I needed to make decisions on fixing my dental health. I’ll be back!